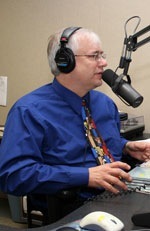 Last week (11-29-10) I did a radio interview with my friend Gregory Berg on The Morning Show at WGTD in Kenosha. The topic was how to survive the holidays. I thought y’all might appreciate the interview. It’s about 50 minutes or so. Enjoy!